Amazon.com Inc resurrected thousands of suspended product listings in India by selling much of its stake in top local venture partner Cloudtail, a hastily arranged deal intended to comply with stringent new e-commerce regulations that upended the market. With the transaction, Cloudtail resumed selling products as of midnight, people familiar with the matter said. The Amazon entity sold 25 per cent of its shares to Prione Business Services Pvt, a company run by billionaire Narayana Murthy’s Catamaran Advisors LLP. Prione now owns 76 per cent of the venture from 51 per cent previously, they said. The remaining 24 per cent is now owned by a non-Indian arm of the US retailer’s called Amazon Asia-Pacific Resources Ltd, they said, asking not to be identified talking about a private matter. The deal allowed Amazon to recover a big chunk of item listings frozen since Feb. 1, when newly introduced e-commerce regulations threw Amazon’s and Walmart Inc.’s plans for the world’s fastest-growing online retail arena into disarray. Heeding complaints from small merchants, Narendra Modi’s government banned Amazon and Walmart’s Flipkart from cutting exclusive arrangements with sellers, offering deep discounts or holding any business interest in online merchants on their websites. “Catamaran has always been 100% compliant with every law of our country, India. We will continue to do so in the future,” Catamaran CEO Abishek Laxminarayan said in a statement on Thursday. “On February 6, 2019, Catamaran has affected the required changes to be 100% compliant with” the new regulations. Despite Cloudtail’s return to Amazon.in, thousands of products remain missing from the virtual shelves of Amazon and Flipkart, which together account for 70 per cent of India’s online retail market. Arvind Singhal of consultancy Technopak Advisors Pvt, has estimated their revenue growth could fall to 15 per cent in coming months from 25 per cent to 30 per cent previously. Meanwhile, items on Amazon Pantry grocery service also made a comeback on the platform. 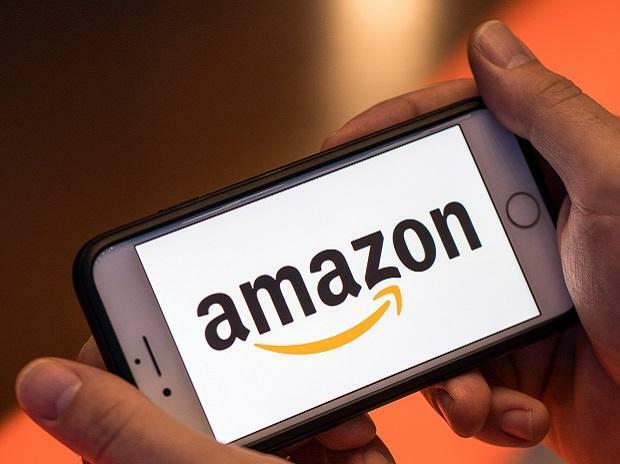 Amazon Retail India Pvt, the food retailing unit of the Seattle giant, was deemed compliant with India’s laws, which allow 100 per cent foreign investment in food retailing. The company has written to the government seeking further clarity on the fully owned food retailer selling on Amazon’s platform, said people familiar with the developments. Walmart’s quarterly earnings are due later this month. Amazon’s shares have slid as analysts pushed the company for answers on India, a market the e-commerce titan regards as the best frontier for international expansion. CEO Jeff Bezos has pledged to spend $5.5 billion there, but executives had few encouraging words, saying on Thursday the effects of new e-commerce regulations in the country are still uncertain. Its newfound headaches in India come as a slowing global economy threatens to curtail consumer spending. Walmart’s and Amazon’s tactics have been controversial in a country where organized chains and large stores account for only about 10 per cent of a retail market dominated by small sellers and mom-and-pop stores. The government’s decision on the e-commerce rules comes months ahead of a crucial general election. Small traders have traditionally been part of a support base for Modi’s ruling Bharatiya Janata Party.